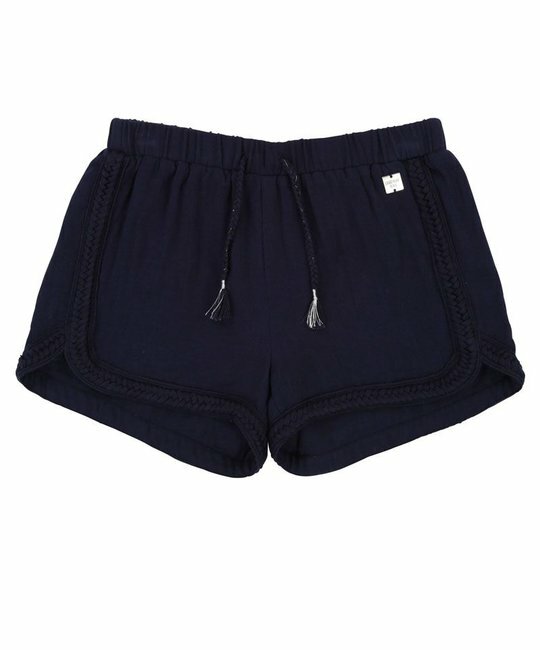 Carrement beau soft navy waffle cotton woven shorts with adjustable waist tie and fancy braid finish. 100% Cotton. Imported.